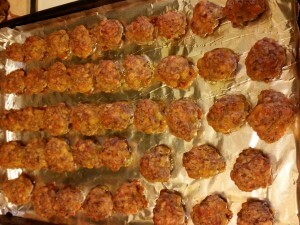 It’s been a while since I posted a recipe or posted a giveaway… so here’s two in one! The recipe isn’t mine, but – something you may not know about me is that I’m a huge fan of Martha Stewart’s cookbooks. They always have lovely photos for each and every recipe, so you know exactly what you’re aiming towards for the end result. 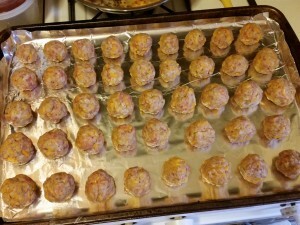 The recipes are tested so extensively that only occasionally have I stumbled on total FAILs, but generally she/her team know exactly what to do to make something delicious. I own a number of her cookbooks that I went out of my way to purchase on my own, and have also been fortunate enough to receive several as press gifts – including Martha Stewart’s Appetizers (affiliate link). Even more fortunate, I received that one just before Super Bowl (I know, that was over a month ago – almost baseball season! 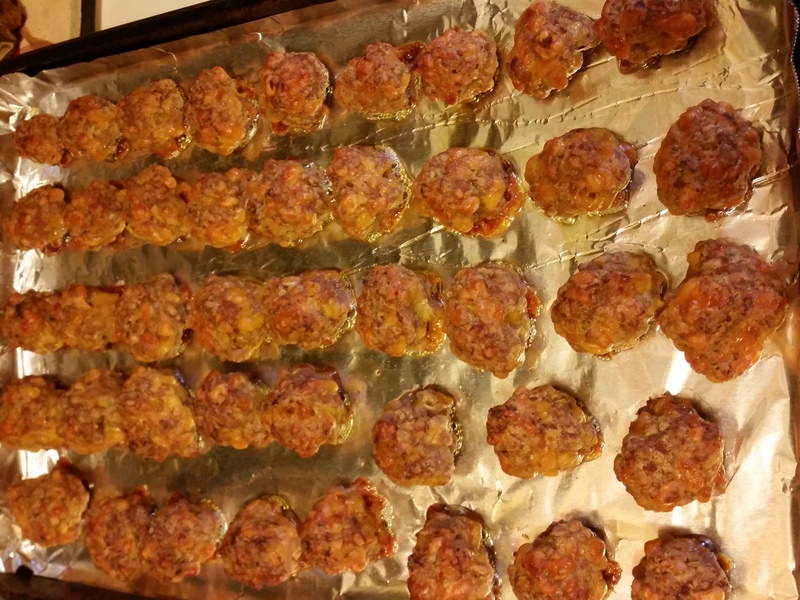 )… so I picked out a football snack to make. 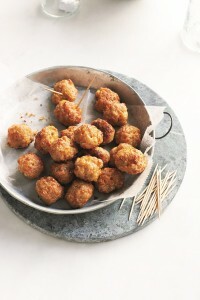 Heck, these are a great snack anytime – sausage cheddar balls. Also – this recipe even includes “how to make them ahead and freeze” – see what I mean? Martha’s awesome like that. She’s got you covered. Below the recipe- enter to win one of two copies of the cookbook! I got you covered… because I’m awesome like that! Hahaha. 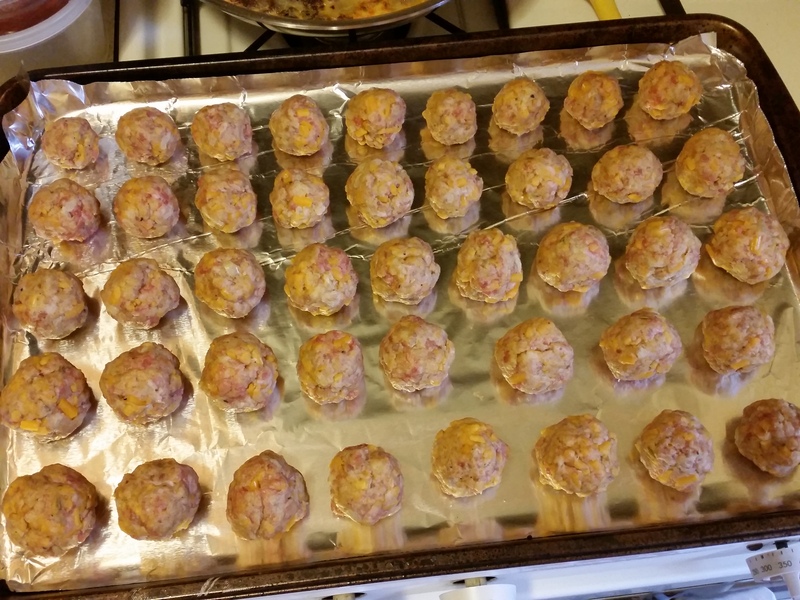 until well combined and then roll mixture into 1- inch balls. through, rotating sheets halfway through, about 25 minutes. Serve warm. resealable plastic bags and freeze up to 3 months. Bake as directed (do not thaw) for about 30 minutes.